Some of you may have travelled to Sóller by train. The route was unofficially opened 100 years ago this year, on October 7th, 1911 (the official inauguration did not happen until April 16th, 1912). The train ride is an enjoyable experience, enhanced by the fascinating landscape, the wonders of the Cinc Ponts viaduct bridge and the dramatic descent past orange groves into Sóller. If you haven’t had the experience yet I would suggest that one day you do. You will not regret it. If ever you make it to Sóller, by train or otherwise, you could also experience Mallorca’s only tramway between Sóller and Port de Sóller. That tranvía (tramway) was inaugurated in 1913. In using the tram you could marvel at the engineering achievements of the Maley & Taunton Engineering Co. from Wednesbury in Staffordshire (UK). Five of the tram locomotives were manufactured by Maley & Taunton; they found their way to Sóller from Wednesbury by way of Lisbon (Portugal). Maley & Taunton as an engineering group is long since defunct but, in their days they equipped the Blackpool tramway and exported to the Isle of Man and to Portugal. And they equipped the trams of Ferrocarril de Sóller S. A. here in Mallorca. 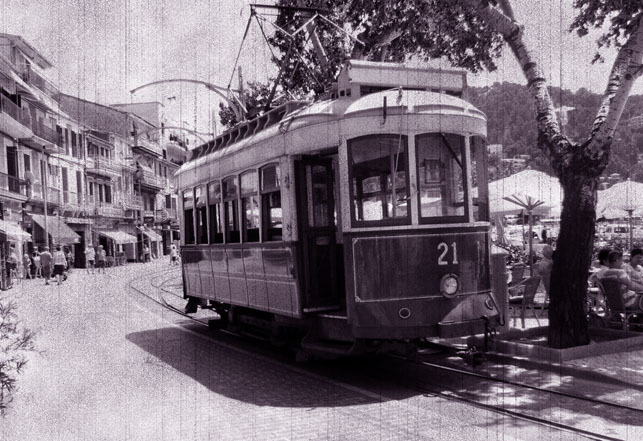 The amazing fact is that the trams used today between Sóller and Port de Sóller are the very same ones that have been used for the last 98 years; they are still going strong. Reasons to be cheerful. The photo (top) was chosen from my archive. It was taken near Sóller, Mallorca, Baleares, Spain. The date: July 17th, 2008. The time was 12:15:01. 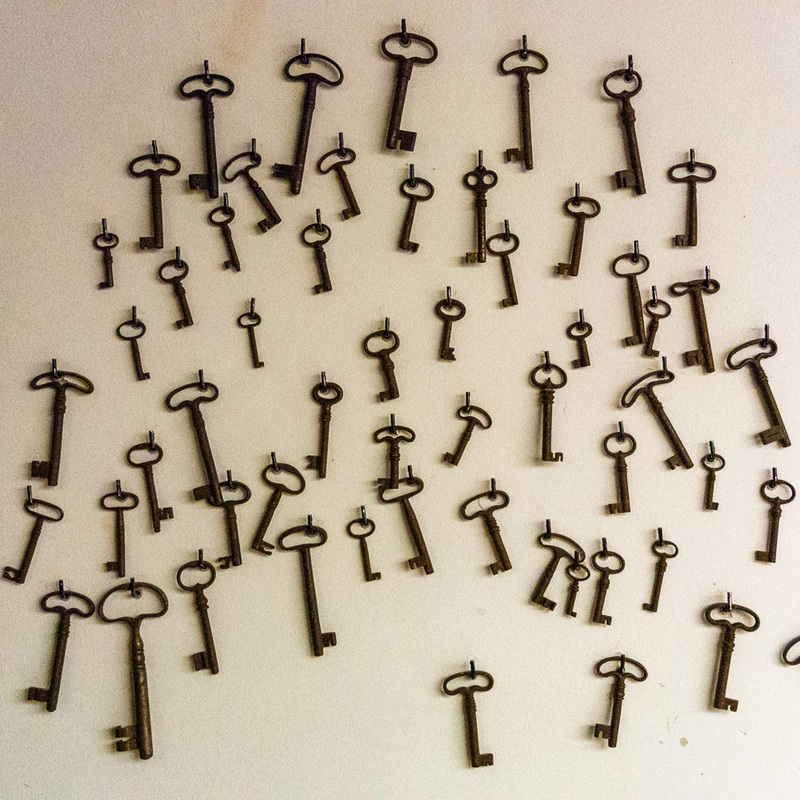 The photo (bottom) was borrowed from the Internet, courtesy of flickr and chema_santander. I photographed the castings on the Tram at Soller as it stated Maley and Taunton Ltd. Wednesbury England 1086. I was fascinated how the trams were built in England and ended up in Soller and your article has solved the riddle. 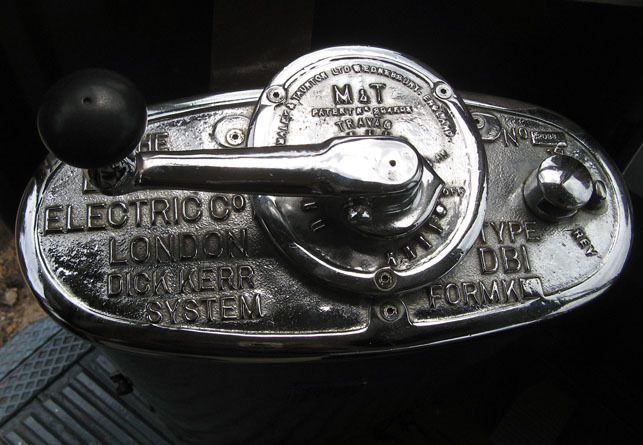 We did make some good engineering products which have stood the test of time.